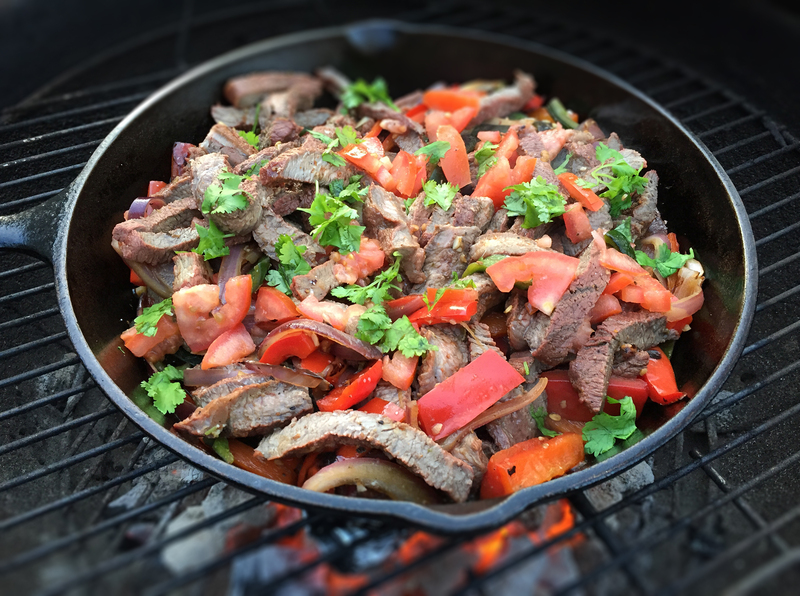 This is a clone recipe of McCormick’s Montreal Steak Seasoning, available in supermarkets. Ensure that it has a coarse consistency by using the grind specified. I really love this on steaks and chops. 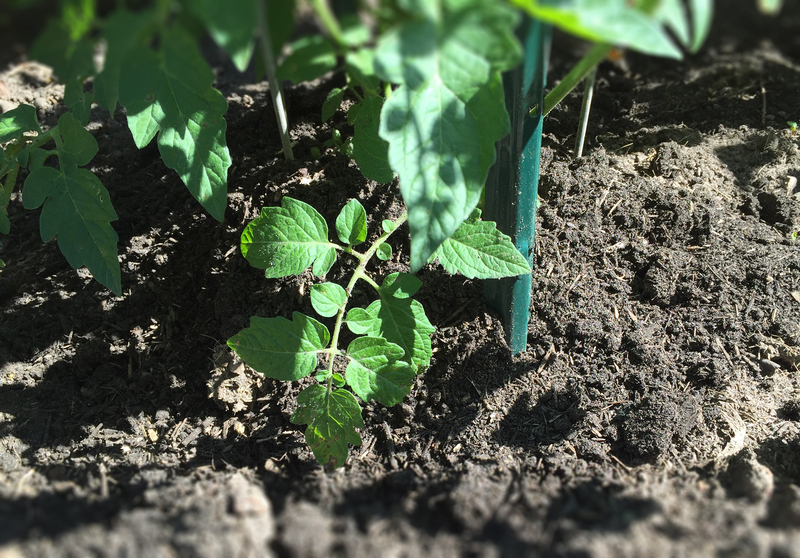 Mix well and store in an airtight container away from direct sunlight. Makes a little less than 2/3 cup. Here’s a milder version of my Fire Canyon Grilled Steak Chili, made with poblano peppers. The preparation is much the same. The combination of two kinds of beans, done until just tender add a nice contrast to the simmered beef. A wonderful recipe well worth the time needed to prepare. The night before: Wash and sort the pinto and black beans. Remove any debris. Soak in water for 24 hours. Pound the steaks on both sides using a meat tenderizer (cover with saran wrap). Generously sprinkle the flatiron rub on both sides and work it in to the meat. In a bowl, mix 2 cups lime juice and about a half cup olive oil. Add 5 cloves mashed garlic. Add 1 tsp. fresh ground black pepper. Add 1 tsp. liquid smoke. Mix well and pour into ziplock freezer bag. Add the steaks. Seal tight and double bag. Shake to ensure the steaks are evenly coated with the marinade. Marinate in your fridge for at least 24 hours. When ready to start the chili, preheat a 22″ Weber grill with enough charcoal to cook the steaks over medium-high heat. Prepare the mesquite chips for smoking by either soaking them in water for at least an hour -or- placing them in a sealed tinfoil pack (shiny side in) with holes poked in it. While the grill is preheating, heat a 6-quart Dutch oven (cast-iron preferred) to medium and add the tomatoes, coffee and beef stock. Bring to a low simmer. When the charcoal is white-hot add the mesquite chips to the coals. Cook the steaks quickly (a very hot, direct fire is essential) so they slightly char on each side. It’s fine if they are underdone, since they are going into the chili pot. Remove from the grill and set aside in a covered dish. Peel and halve the onions and core the poblanos. Brush lightly with olive oil and place both on the grill over direct heat. 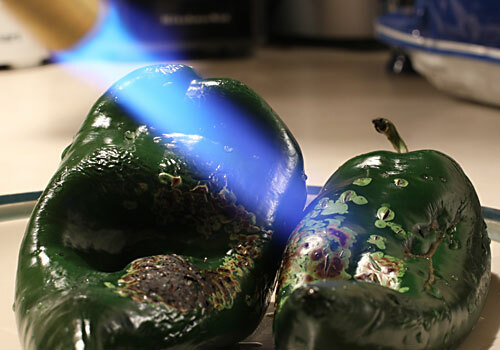 Char lightly until the skin on the poblanos blisters. Rotate to ensure that they are evenly done, then remove from heat and place in a covered pan. The tough outer skin on the poblanos will blister off in about fifteen minutes. Rinse under cold water to remove the skin. Chop the onion and poblano in to 1/4″ pieces and add to the pot. When cool, cut the steak into 1/2″ cubes and add to the pot. Increase the heat and bring to a slow boil. Add the pinto and black beans. 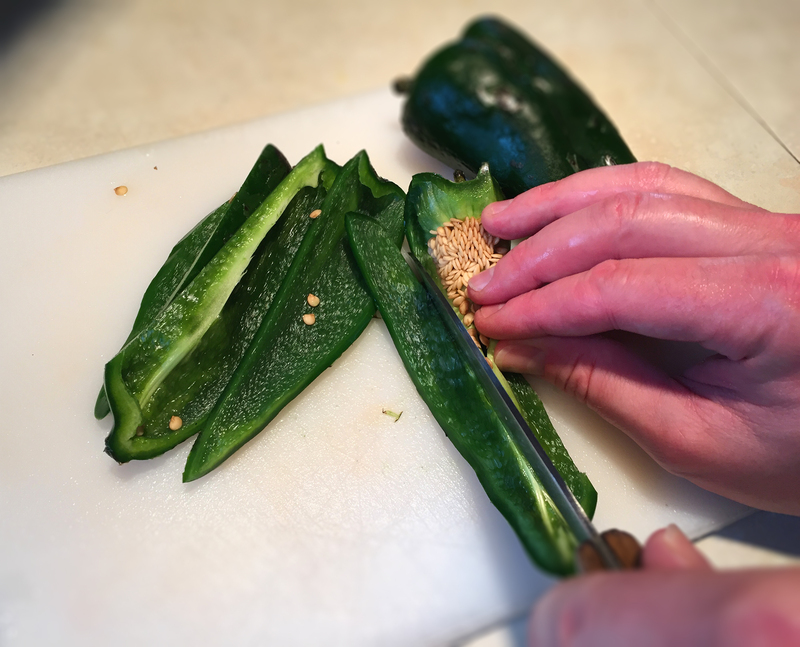 Add three seeded and chopped jalapenos. 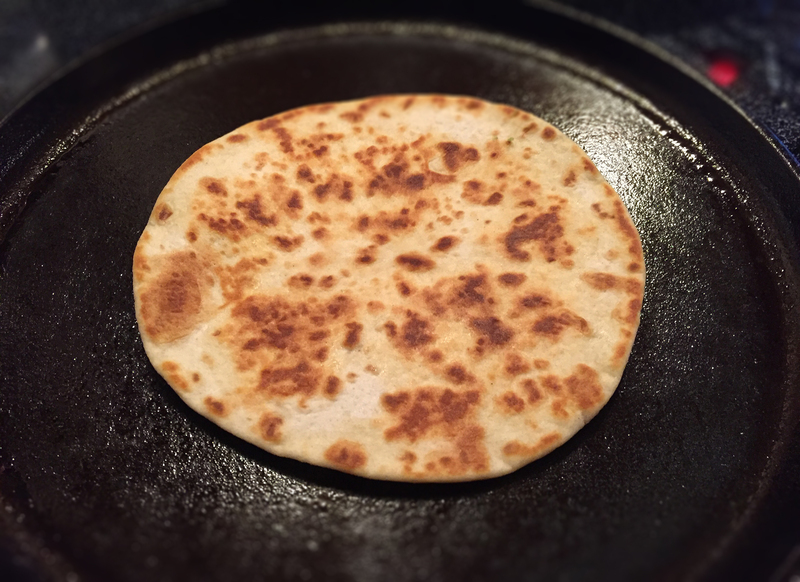 Masa harina may be used during the last fifteen minutes of cooking to thicken up the chili.